Findings in mice may lead to a drug-free, noninvasive way to treat chronic wounds in people with type 2 diabetes. Credit: Stock image. 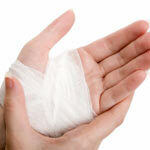 For people living with type 2 diabetes, wounds often heal slowly, sometimes even becoming chronic. Now, scientists have shown that low-intensity vibrations can speed up the healing process in a strain of diabetic mice commonly used to study delayed wound healing. The research team, led by Timothy Kohof the University of Illinois at Chicago, found that exposing the mice to barely perceptible vibrations five times a week for just 30 minutes promoted wound healing by increasing the formation of new blood vessels and of granulation tissue, a type of tissue critical in the early stages of healing. If researchers can show that the vibration technique also works in humans, this approach could one day offer a drug-free, non-invasive therapy for chronic wounds in people with diabetes. This work also was funded by NIH’s National Institute of Dental and Craniofacial Research. A knot-like structure in RNA enables flaviviruses to cause diseases like yellow fever, West Nile virus and dengue fever, which threaten roughly half the world’s population. Credit: Jeffrey Kieft. Roughly half the world’s population is now at risk for mosquito-borne diseases other than malaria, such as yellow fever, West Nile virus and dengue fever. These three diseases are caused by flaviviruses, a type of virus that carries its genetic material as a single strand of RNA. Flaviviruses have found a way not only to thwart our bodies’ normal defenses, but also to harness a human enzyme—paradoxically, one normally used to destroy RNA—to enhance their disease-causing abilities. A team of scientists led by Jeffrey Kieft at the University of Colorado at Denver found that flaviviruses accomplish both feats by bending and twisting a small part of their RNA into a knot-like structure. The scientists set out to learn more about this unusual ability. First, they determined the detailed, three-dimensional architecture of the convoluted flaviviral RNA. Then, they examined several different variations of the RNA. 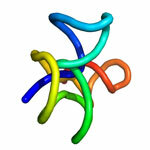 In doing so, they pinpointed parts that are critical for forming the knot-like shape. If researchers can find a way to prevent the RNA from completing its potentially dangerous twist, they’ll be a step closer to developing a treatment for flaviviral diseases, which affect more than 100 million people worldwide. This work also was supported by the National Institute of Allergy and Infectious Diseases and the National Cancer Institute. Artist’s rendition of a network diagram. Credit: Allison Kudla, Institute for Systems Biology. Networks—both real and virtual—are everywhere, from our social media circles to the power grid that delivers electricity. The interactions of genes, proteins and other molecules in a cell are examples of networks, too. 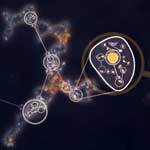 Scientists working in a field called systems biology study and chart living networks to learn how the individual parts work together to make a functioning whole and what happens when these complex, dynamic systems go awry. For example, the network diagram here depicts yeast cells (superimposed circles) and the biochemical “chatter” between them (lines) that tells the cells to gather together in clumps. This clumping helps them survive stressful conditions like a shortage of nutrients. Network diagrams provide more than just hub-and-spoke pictures. They can yield information that helps us better understand—and potentially influence—complex phenomena that affect our health. Read more about network analysis and systems biology in this Inside Life Science article. Computer-generated image of drug-resistant Mycobacterium tuberculosis bacteria. Credit: Melissa Brower, Centers for Disease Control and Prevention. Drugs that target a single essential protein in a microbial invader can be effective treatments. But the genomes of pathogens—including bacteria, fungi and parasites—mutate rapidly, and resistance can develop if a mutation changes a target protein’s structure. Molecules that interfere with multiple microbial proteins at once have the potential to overcome the growing problem of antimicrobial drug resistance. Researchers led by Eric Oldfield of the University of Illinois recently explored whether an experimental drug called SQ109, developed to treat tuberculosis (TB), could be tweaked to attack multiple enzymes, as well as to kill different types of microbes. The scientists succeeded in creating several multitarget analogs of SQ109 that were more effective than the original drug at killing their target pathogens in laboratory experiments. 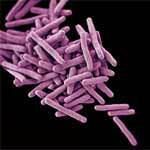 These analogs included one compound that was five times more potent against the bacterium that causes TB while also being less toxic to a human cell line tested. This work was also funded by the National Cancer Institute; the National Heart, Lung, and Blood Institute; the National Institute of Allergy and Infectious Diseases and the NIH Office of the Director. 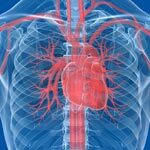 Most often, the bloodstream is the vehicle for carrying medicines throughout the body. Credit: Stock image. Pharmacology is the scientific field that studies how the body reacts to medicines and how medicines affect the body. Scientists funded by the National Institutes of Health are interested in many aspects of pharmacology, including one called pharmacokinetics, which deals with understanding the entire cycle of a medicine’s life inside the body. Knowing more about each of the four main stages of pharmacokinetics—absorption, distribution, metabolism and excretion—aids the design of medicines that are more effective and that produce fewer side effects. 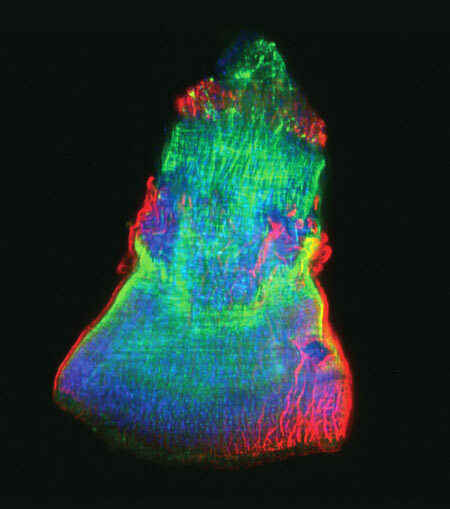 Read more about a medicine’s life inside the body in this Inside Life Science article.